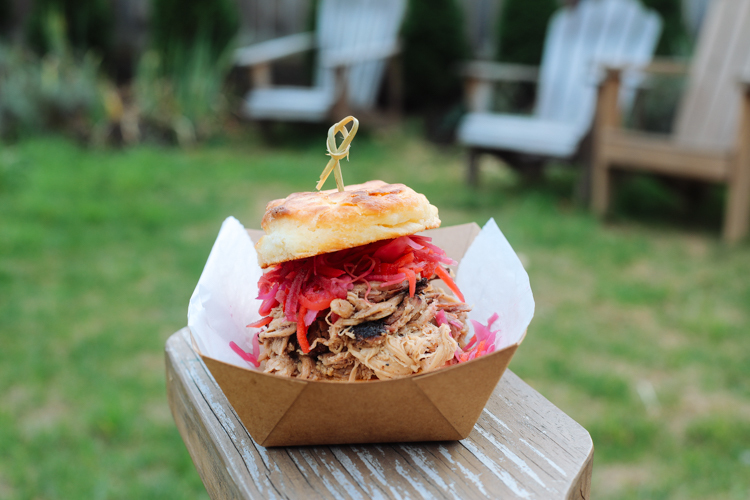 Wise County Biscuits' BBQ pork sandwich. Photo by Tom O'Connor. The smell of fresh baked buttery biscuits always draws a crowd. The folks from Wise County Biscuits know this because it happens everywhere they set up their stand. They often see the same faces, too. “We have a lot of regular customers at the farmer’s market,” says James Wolfe, chef and co-owner. 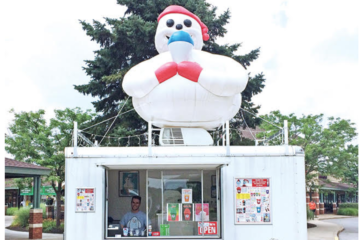 Wolfe and his partner, Lena Laskaris, turned their passion for handmade biscuits into a business earlier this year. They quickly became regular fixtures at the Shadyside Farmer’s Market, developing a loyal following that helped them hone their recipes. Now, they’re winning over new fans with pop-ups at the Eleventh Hour Brewing Company, Wigle Whiskey Barrelhouse and Coffee Buddha. It’s not just the melt-in-your-mouth flaky biscuits made from scratch, it’s what they do with them: that is, stuff them with delicious fillings like barbecue pulled pork and pimento cheese, turning them into giant biscuit sandwiches that are quite a handful. Customers line up for their biscuits with sausage gravy and a fried egg, and the double burger patty with bacon, cheese and pickle aioli. “People get everything from a plain biscuit with local honey and butter, if that’s what they want, to a full-on sandwich,” says Wolfe, the biscuit chef and grillmaster at each event. 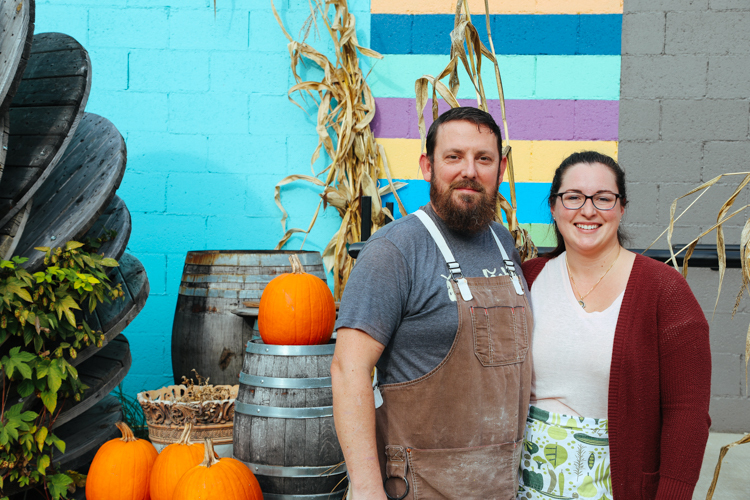 After years of cooking in and running restaurants in the Washington D.C. area, the couple decided to make Pittsburgh home for their biscuit venture. It’s where they first met 10 years ago. “We’ve always talked about doing a business together and we’ve always had friends and family connections here,” says Laskaris who grew up outside of Pittsburgh and went to Pitt. After helping to open restaurants and working in front-of-the-house positions, she’s now handling all the biscuit business details. Wolfe worked as a chef in D.C. Now, when he’s not making biscuits, he pulls kitchen duty as a cook at Union Standard Downtown. “I’ve made biscuits my whole life, but more seriously in the last year, figuring out exactly how to get them the way we want them,” he says. Chef James Wolfe from Wise County Biscuits. Photo by Tom O’Connor. Wise County Biscuits draws its inspiration from the Appalachian home cooking of Wolfe’s grandma, Sallie, and is named after the area in Virginia that was her home. He mixes all the biscuit batter by hand using his grandma’s recipe, altering it slightly and skipping the lard. 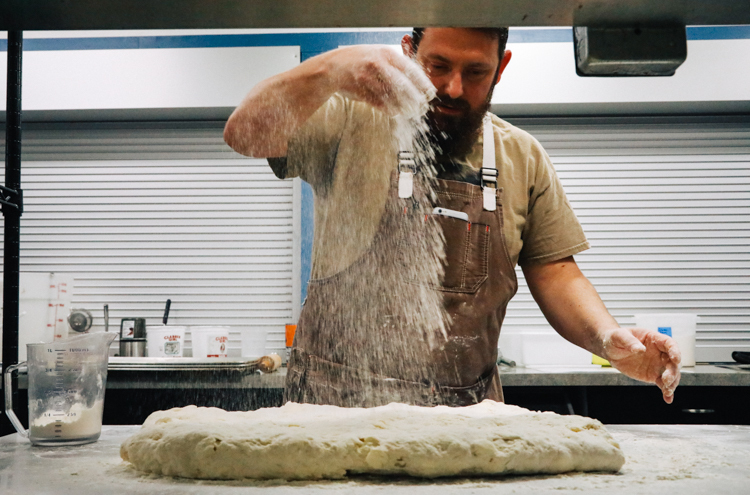 “My grandma made large drop biscuits — she called them cat’s head biscuits — and they were a little crumblier,” says Wolfe, adding, “She always said to leave the butter bits the size of a pea, but I go a little bigger.” The pockets of butter he creates help make them moist and super steamy. James also works with the dough a little longer, folding it so there’s a distinct layering. “It helps add body so they can build them into sandwiches without the biscuits crumbling apart,” he says. 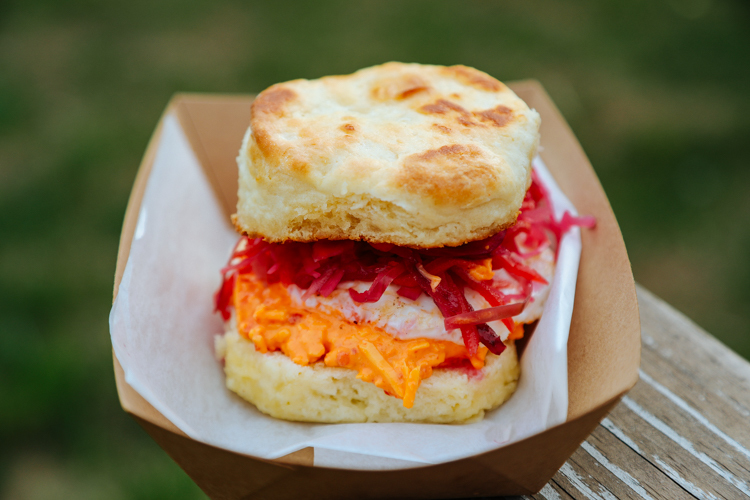 Pimento cheese and chow-chow biscuit. Photo by Tom O’Connor. Wise County Biscuits offers different menus depending on the time of day and the event. Morning menus lean more toward breakfast options, while evening menus offer more savory stuff. You’ll also find southern-inspired sides at their stand like braised greens, black-eyed peas, chow-chow relish and bourbon pecan pie. So far, most of their success can be attributed to word-of-mouth promotion. They continue to focus on local pop-ups and and catering, with tentative plans for supplying cafes and restaurants with ready-to-bake biscuits in the future. Check out Wise County Biscuits at Coffee Buddha every Sunday 9 a.m. – 1 p.m.; at the Bloomfield winter market on the first Saturday of each month from 11 a.m. – 2 p.m.; and at Hitchhiker Brewing Co. in Sharpsburg on November 11. Order frozen biscuits for the holidays on the website and check here for future events.